Dates are one of the earliest fruits cultivated by man. Harvested from the date palm. They are grown since ancient times in the desert areas of North Africa and the Middle East, where dates are a major food source for millennia. 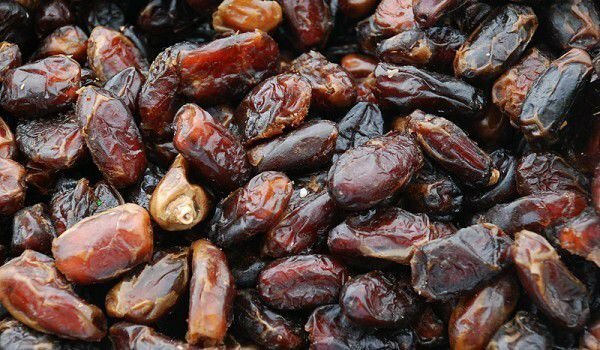 There is evidence that dates were highly prized 4000 years ago. Basically, dates are sold dried in packets. Fresh dates are firm and not tasty. Once mature, they become orange and when fermented become dark brown. On average, a date palm yields about 45-90 kg of fruit. Usually, this palm lives for about 100-200 years, and most fruits began to be born when the palm reaches the age of 10-15 years. 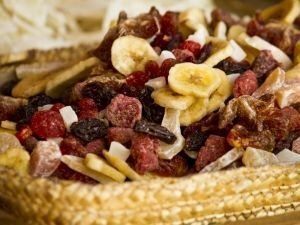 Dates contain a lot of carbohydrates and sugars, and an ancient Arab legend states that six of these delicious fruits are sufficient to cross the entire desert, to defeat your enemies and still be excited enough to spend time with your beloved wife. 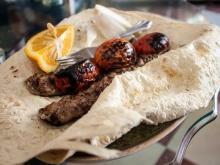 That is why the Arab warriors before they went on a long hike, took with them sacks of dried dates. Even when warriors did not find other food, several dates were enough to satiate their hunger and to provide them energy. The fruits are 4-8 cm in length. There are over 1500 varieties. With maturation, dates lose their moisture and become sweet. Fresh dates have a strong flavor, but are less sweet. After drying, they have 10 times more protein, fat and carbohydrates. Dates are an important source of energy and in this respect are superior to all other fruits. It contains all vitamins except E, and most importantly, have a high amount of vitamin B5 in them. They contain complex vitamins that strengthen immunity and increase endurance. There are significant quantities of sugar and fructose (about 75%), organic acids, vitamins C, B, P, carotene, phosphorus, calcium, magnesium, protein, tannin, trace elements such as iron, iodine, zinc, copper and others in dates. Most importantly - dates contain active antioxidants. 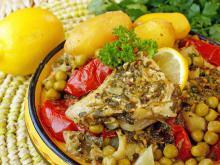 They reduce the level of harmful cholesterol, and can even change it. 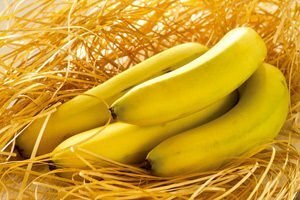 These fruits contain much iron, magnesium, phosphorus, vitamins A and C and for 23 essential amino acids that are absent in most fruits. According to nutritionists, ten dates per day are sufficient to provide the required amount of magnesium, copper, sulfur, half the daily rate of iron and a quarter of the daily volume of calcium. Dried dates contain 60 - 75% sugar (mainly glucose and fructose) - the highest percentage among all other fruits. There are lots of folic acid, which makes them an important food for pregnant women. 100 grams of dates contain 282 calories, 2.45 g protein, 75.03 g carbohydrate, 0.39 g fat. When you buy dates, ensure the packaging is well closed. Fruits should not have wrinkled skin. 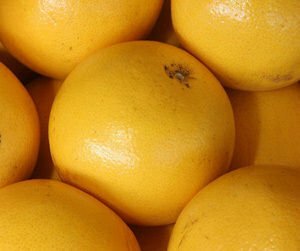 If the fruit is too dry, it means it was stored incorrectly, or dried in bad conditions. A wine- like taste of dates is caused by specific enzymes, which speaks of insufficient quality processing of fruits. When your fingers stroke the soft skin, you can see if they are contaminated with the larvae of insects. 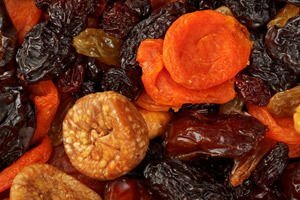 Dates, like other dried fruits, can be stored for a long time, at room temperature. Their benefits and taste are not lost in a year. But it is still advisable to keep the dates in a cool place, in airtight containers away from direct sunlight. Dates should not be kept in plastic bags, and their cloth bag is pre-soaked in brine and then dried. This is a way to protect them from decay. For thousands of years, they were part of eastern culture, but dates are known to Europeans only since 100 years ago, but that did not prevent the delicious fruit from being integrated rapidly into European cuisine. 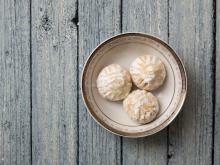 Usually, dates are available dried, splashed with lemon juice or topped with cream. Dates are an integral part of some cakes, ice cream and yogurt. They are used to prepare pudding, mousse and jam. 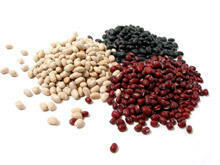 From the dates, you can make different drinks - wine, sake and their roasted seeds are used as a substitute for coffee. 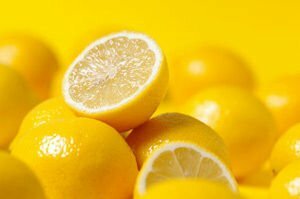 In its taste, nutritional, medicinal and imparted dietary properties, it ranks second after citrus. Vitamin B5 has the ability to increase efficiency and enhances concentration and attention. 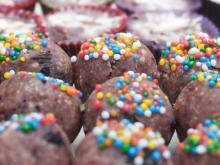 Dried dates improve the brain by more than twenty percent, say nutritionists. Dates contain substances which are structurally similar to aspirin. Ancient healers have applied them to treat colds and headaches. Dates easily satisfy hunger and have the unique ability to increase endurance of the body. In eastern countries, people ate dates for thousands of years, and it's no surprise that there are many centenarians. Dates reduce the risk of diseases of the cardiovascular system. Nutritionists recommend eating dates instead of something sweet. They are sweet, but the sugar in them is harmless fructose and glucose. These do not increase insulin levels in the blood and therefore cause hyperglycemic syndrome, as ordinary sweets do. Because of this fact, dates can be combined with fat and are all in the principle of separate meals. 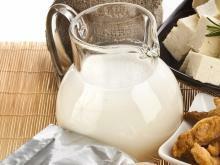 It is considered that a single date and a glass of warm milk a day can provide the necessary substances for survival. It is recommended for cleaning to be done once a week. Dates contain fluoride, which protects teeth from decay and selenium, which reduces the risk of cancer and strengthens the immune system. They help with colds and are a good tool for malnutrition. Dates are especially good for pregnant women. They strengthen the immune system, have a toning effect and maintain their mineral balance. 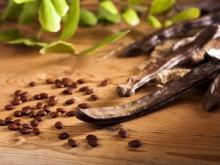 They respond well to metabolic diseases, especially in the thyroid gland, due to the high content of iodine in dates. 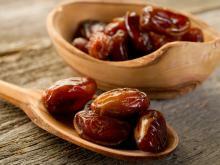 With their increased acidity of gastric juice, dates are quite helpful. 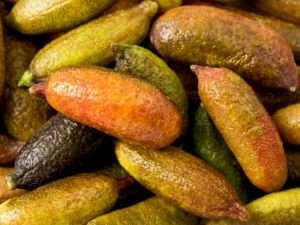 This delicious oriental fruit is a powerful tool for the prevention of cardiovascular and liver diseases. 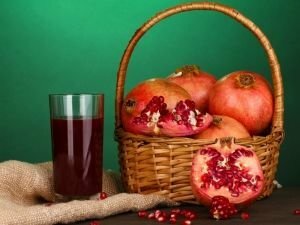 You should note that dates are very calorie intensive and should not be eaten in large quantities, especially for those of us who are prone to obesity. Dates are with a sticky texture that sticks to the teeth and can lead to deposits on the teeth. So brush your teeth after eating dried fruit well every time. Quite often, the processing of dates goes for industrial use of paraffin, which is harmful to people with asthma and allergies. 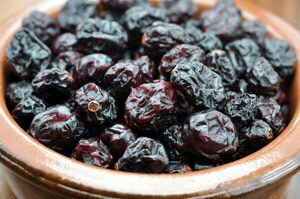 Those of us who have problems with their digestive tract should eat dates as dried fruit in compote, or well soaked in water. Dates contain tyramine, which provokes contraction of blood vessels, so the fruit can cause migraines. For kidney stones, it is also inadvisable to eat dates because they contain a lot of oxalic acid.